There is currently FREE UK POSTAGE on all items bought from the store! Click here for CDs, Vinyl, T- shirts, Mugs, Posters, and Exclusive bundles! The video for the single “Keep Waiting” is out now! This is the third single from the album Space Elevator II following We Can Fly and W.Y.T.A.T. 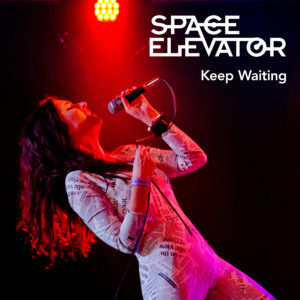 Keep Waiting - the third single taken from the album Space Elevator II. For General or Press enquiries please email us at info@spaceelevatoronline.com. Alternatively please fill in your details using the form below and we will be in touch.